You sit to study and your phone rings. Gosh! the neighbours want to party only when you have your exams. Aunty ji ko bhi aaj hi aana tha (Aunt comes over to visit when you have to study). 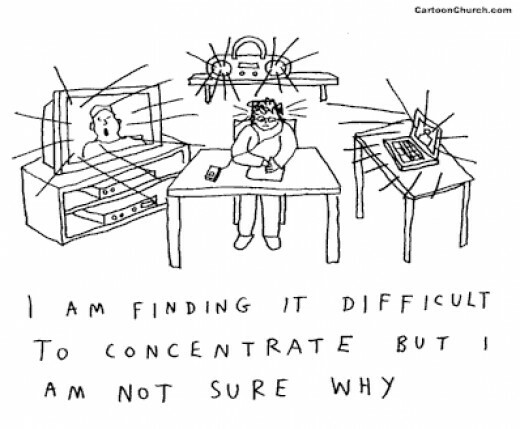 There are lots of distractions around you which bother even more during exam time. They break your tempo and make it hard to concentrate on your studies. They also induce unnecessary stress. Let’s discuss some practical steps on how to cut back or just become unaffected by them. When you feel you are getting distracted find the source of it. It may mean you have to work hard on tracing your memory back to the source but this is a crucial step. It could be TV, friends and family, internet, phone calls anything. No! not literally I mean, if that is person. See some usual culprits and a solution. Friends and Family: You decide your timetable and announce it to your friends and family well in advance. You stick to it without fail and make it clear to your friends and family not to disturb you during the study hours. Phones ringing: Switch off your phone and sit in a quiet place to study during that time. You can keep a time to turn on the phone and also have a missed call alert set. Entertaining Distractions: Plan for some recreation time beforehand, so that you do not feel deprived. You can include TV viewing or movie watching but ensure this is a once in a while activity. Difficult Subjects: Difficult to grasp concepts can also encourage you to get distracted. With just a day or two before exam check if you can avoid these concepts and still be good. Start a difficult concept early in the morning when you are fresh. 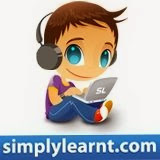 Find super revision modules on simplylearnt.com for easy understanding. Also be fully prepared before studying with pen, paper, water, books, etc so that you are not distracted while studying. When you have a set time table for studying your body automatically adjusts itself to the study activity planned and helps you concentrate. Always be relaxed when you get to study. This means you must have a good night sleep, have exercised a bit in a day and also practiced breathing exercises. Your food should also be satvik so that it does not induce stress. Sometimes when you are bored, you cannot concentrate. If the subject is inherently boring and you have not done anything to make it interesting so far, offer yourself incentives to finish. But make sure junk food or TV viewing is not the reward. Meditation, pranayama and deep breathing are known to have a calming effect on our mind. When we have reduced the anxiety through these means we can certainly concentrate better. 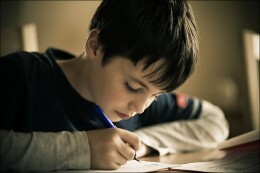 One is also encouraged to resolve to study with full concentration. This resolve then needs to be repeated to oneself regularly. Finally, make sure you remain positive about the exams. They are not end of life anyway and life will always go on. Taking exam preparation in your stride only works to your benefit. Read tips on keeping your mind and body fit. Studying online and not from a book is definitely much more interesting and engaging. 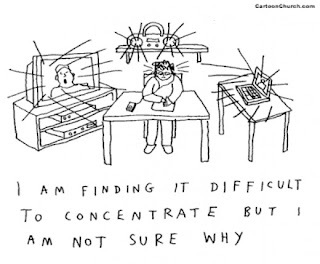 Animation and graphics can keep you more concentrated. If you are preparing for engineering or medical entrance exams, sign up at simplylearnt.com and get your guided study plan and complete study material. Practice Lounge is the most fun way to prepare for exams. hmm i find it useful!!!! thanks....a lot for ua guidence..........!!!! !